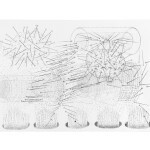 Force Fields 2010-2013 While at Banff Centre’s Leighton Colony I performed a re-enactment of the historical double-slit experiment where originally electrons were fired through slits in order to study their behaviour. 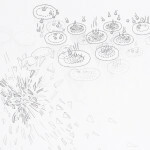 Lacking sophisticated equipment, I substituted electrons with words of “force” in order to study their colliding behaviour, interference and resonating impacts. 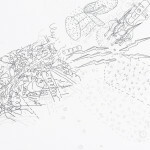 Later, while continuing a residency in Berlin and walking 500 kilometres throughout the city, historical and current evidence of “force particles” was noted and recorded. 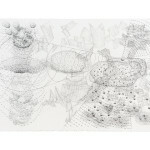 “Force Fields” comprises a drawing series that functions like an exploded graphic novel. 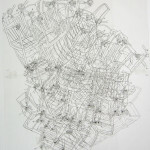 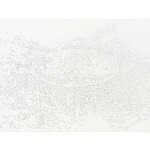 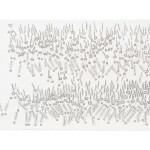 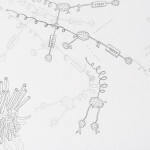 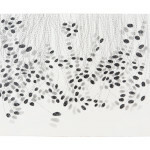 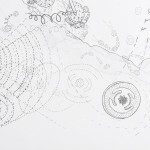 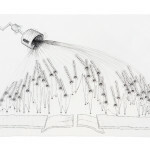 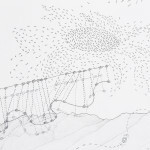 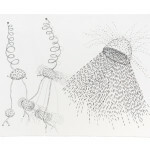 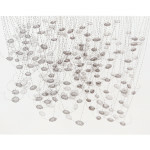 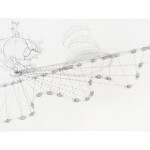 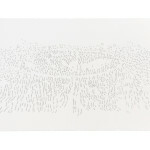 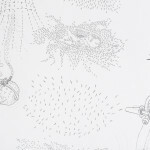 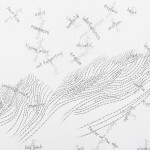 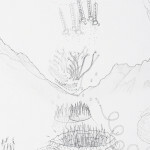 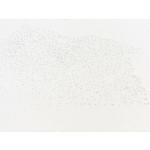 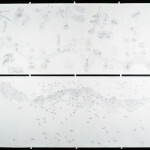 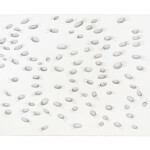 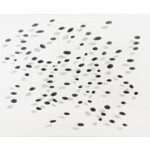 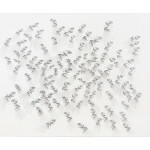 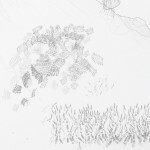 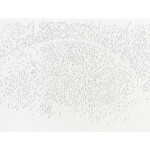 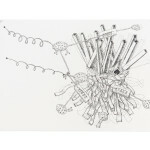 The drawings contain a fluctuating network of relationships between “force particles”.